used to enhance the water repellency of substrates without reducing vapour permeability. 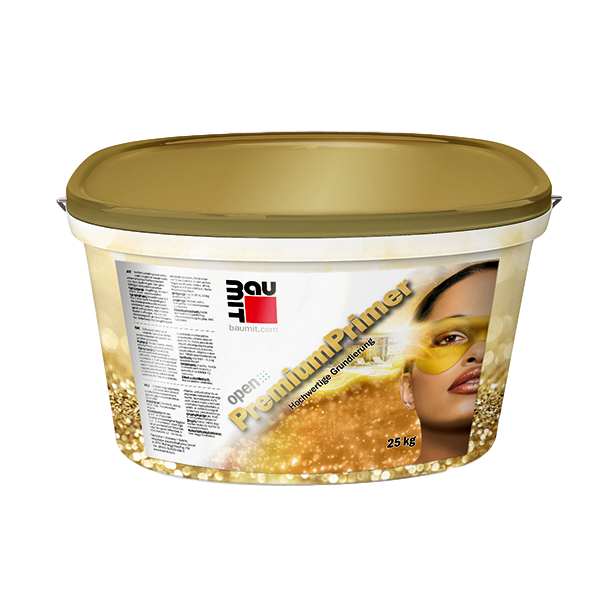 Each 5kg tub of Baumit PremiumPrimer will cover between 12 and 25m2 depending on the absorbency and texture of the surface. Each 25kg tub of Baumit PremiumPrimer will cover between 62 and 125m2 depending on the absorbency and texture of the surface. Please remember that this product should only be used between 5C and 30C and that humidity will affect drying times for this product. Admittedly, not the most informative of images but nonetheless, here you can see the Baumit PremiumPrimer being applied to the wall. It can be brush or roller applied and can also be diluted by up to 10%. Carriage is typically calculated at £15 + VAT per tub. This price does vary if delivery is required to remote locations so please contact us for a more accurate price.